This is our fifth article in our series for new preppers. To read them in order, begin here. Putting your bug out bag together requires careful thought. Lets look at some of the considerations involved. So what do we want to consider when putting BOB together? Even though this subject is our number one priority, you probably will not be putting much relating to it in your BOB. Extra ammunition and a weapons cleaning kit like one that Otis makes would probably be the sum of it. Your weapon (s) and spare ammunition will probably be on your person. Keep in mind that ammunition is heavy. Once your BOB is packed with your other essential items and if you have room to spare and can handle the additional weight, then a small amount of spare ammo might be useful. But remember, BOB is not a large version on an ammo pouch. Some of your bug out gear needs to be on your body and we will cover that in another article. To learn more about defensive and survival weapons look here. Here is where we start getting serious. Water is heavy! Remember, BOB is designed to get you through 3 days of survival. Even in moderate climates it is extremely hard to carry enough water to get you through 3 days, even if you just limit it to drinking and ignore personal hygiene. Although each person is different in regards to age and ability, you can plan on needing between a gallon and a gallon and half of water a day if you are hiking and moving out on foot. That’s between 3 and 4 1/2 gallons for a three day walk. If you are in extremely hot climates, like the Arizona desert where I live, it will be much more. Every gallon of water is going to weigh approximately 8 and 1/4 pounds and that’s not including the container. Do the math. You will need approximately between 25-35 pounds of water for a three day walk. On top of your other gear. When I was a young Infantry Sergeant in the 101st. ABN. Division in Vietnam, I carried 12 Quarts of water for a three day mission. That is one gallon a day. And it often wasn’t enough. But we had the option of having water flown out to us if needed. In a bug out situation, you will not have the luxury of a support system like that. You are on your own. So you are going to have to do two things: First, learn how to find water on the go, the subject of an in-depth article itself. And secondly, learn to treat or filter the water you find to make it safe. Also another article. So BOB needs to have a balance of water you can carry and the ability to purify water you find. Redundancy. Boiling with your cook kit is fine. It will kill the bugs but the rest of the junk remains. Having a box of unbleached coffee filters to filter your water through first will help. Water purification tabs work also with the same results. 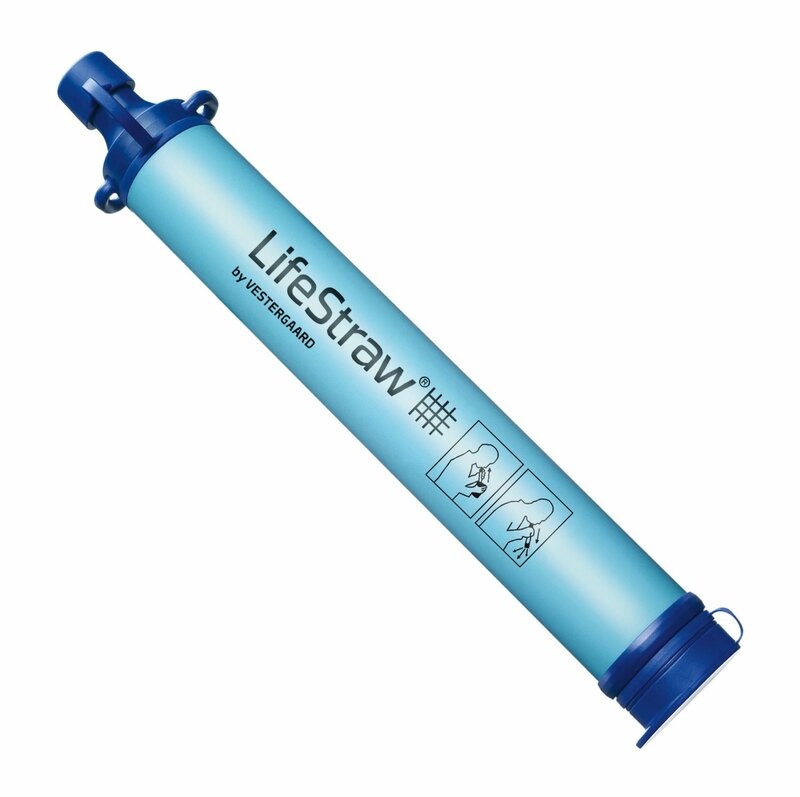 But if you are on the go, you need a portable water filter like the Life Straw. So how much actual water should you carry with BOB? It depends. It is going to be a balance of how much your other essential gear weighs compared to how much you can carry. I carry 1 gallon of water, a few bottles of water purification tabs, and a few Life Straws. You need to be able to put together an IFAK (Individual First Aid Kit) for BOB that will handle a variety of medical issues and still be small and light enough to be portable. This can be difficult but if you think it through it is doable. You really need to take a formal first aid course, such as one through the American Red Cross. Being trained to handle emergency medical issues goes a long way to understanding the items you need in your IFAK. There are a number of good IFAK pouches on the market and the Condor Rip Away IFAK is the one I use and I am happy with it so far. I will show you a list of recommended items to stock it with but you certainly need to utilize the Israeli Combat Bandage. Another item you need to carry is Quick Clot. 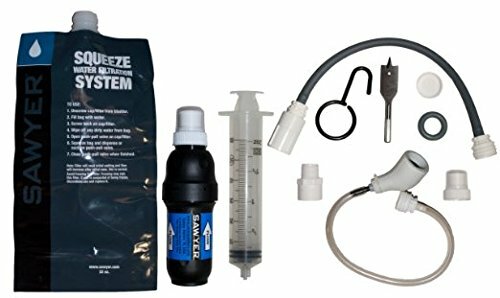 Here are the items I have in my IFAK and is suggested as a starting place for yours.There may be additional items you want to pack. Don’t forget to pack at least a week’s worth of any prescription medicine you need! Basic personal hygiene items should be included in BOB. Toothbrush, toothpaste, soap, small towel, hand sanitizer. ect. Keeping as clean as possible helps to reduce illness as well as improving moral. Place them in a large zip lock bag to keep them waterproof. And the ladies need to pack feminine hygiene items in their BOB’s. Guys, as to whether or not to shave, that is a personal decision. Personally, I wouldn’t use my limited water for it. Remember, Bob’s job is to keep you going for about 72hrs in a bug out situation. The premise is that you have an actual place (hopefully) to bug out to. That will be covered in another article. Right now we just want to get BOB set up with the basics. So what are the shelter requirements? It depends. What climate do you live in and what time of year is it? If you live in the Arizona desert like I do, you can get by with just a tarp, a poncho, paracord, tent stakes and a poncho liner pretty much year round. If you live in upstate New York or Alaska and it is the middle of December, you are going to need a lot more! Your shelter equipment is going to take up a lot of your weight allowance, but think it through. Being armed to the gills is no help if you freeze to death in a subzero blizzard or fry like a steak under a desert sun. 1. A waterproof tarp ( K-Mart), tent stakes, paracord, and an emergency blanket ( good but wear out fast) or poncho liner. I included links to examples of each in order to get you started on your research. Don’t assume that any of these are necessarily the product of choice. Do your research! This might be a good point to mention a concept. Hopefully, if you have to bug out, you will be able to leave in your vehicle and be able to take a lot more equipment with you than just BOB. But BOB has to do the job on his own in case he is all you have. Basically, by himself, BOB is your equipment of last resort. Ideally, you should not need to even unpack BOB, surviving off either the supplies you stored at home( bugging in) or the supplies you put in your vehicle (bugging out). But BOB needs to be handy to do the job whether you have to dash out your house door or your car door. The ability to make fire will be an essential skill that you MUST learn and equip for. The two obvious reasons are for cooking and warmth. Although learning primitive fire making skills would be useful down the line, right now you just need to have the basic equipment to start fires. Some of these items will last for extended periods (striking fire starters) and some will be expendable (survival matches and Bic lighters). Redundancy is important. You should have at least three methods of fire starting. A magnesium fire starter is good to have. There are a number of varieties. The Aurora Fire Starter has a good reputation, although I have not tested it myself. Waterproof matches such as these are a good idea. Toss in a couple of Bic lighters and you have three different ways of fire starting. There are a number of fire starting techniques that you should learn. Do your research. The point I want to make here though is that for any equipment you acquire you need to test and train with it if it is a critical life issue. Waiting to find out that your fire starter doesn’t work in the freezing cold or rain when you desperately need it is definitely not a good idea. There are a lot of options when selecting food for BOB. Once again, you want to keep weight down as much as possible so various types of freeze dried foodstuffs are better than canned food. Military style MRE’s (Meal Ready to Eat) are a practical option. But a word of warning. The United States government has never surplussed original issue MRE’s. The ones you see advertised may or may not duplicate original military issue. That doesn’t mean that they are either good or bad. Do your research and test a few, before you buy in quantity. This especially applies when you are stocking up for bugging in. Mountain House makes a well thought of line of freeze dried food products ideal for the bug out bag. Granola bars or energy bars are an excellent addition. Remember, you are not shooting for a three meal a day balanced diet. Just enough energy to survive three days. Being able to cook some items (without a campfire) or especially a hot drink (tea, coffee or Coco) can be especially useful. One of the handiest little cookers you can find is the Esbit. The small aluminum folding cooker was German Army standard issue in WW2 and has been a mainstay of hikers and campers around the world. Small, light and with fuel tabs stored inside, it makes a realistic addition to BOB. Esbit also makes a number of other portable cooking products and they are of typical German quality. Toss in a military canteen cup, and you have the basics for small food item and hot drink cooking. Under this category we will discuss some basic items you will need to have to survive a possible three days on your own. The first is a good knife. A knife is probably the most important survival tool you can have, because with a good quality knife there are a tremendous number of things you can make and do. Once you deploy, your knife should always be on you, not in BOB. There are a tremendous number of quality survival type knives on the market, way to many to cover in detail. The point to remember is to buy quality from an established knife making company. Gerber has always been an excellent source of good knives and there are many others. Cold Steel is another excellent source. I am also partial to the Nepalese Kukri which can perform many functions. Having a large knife as well as a smaller folder gives you redundancy. Do your research and select carefully. You should be carrying some form of multi tool on you as your EDC, but having a second one in BOB is also good. Both Leatherman and Gerber make excellent models.And don’t forget to pack a knife sharpener. A dull knife is worse than useless. This is an area that many people overlook. If you have to bug out of your home, it may be a short period of time or it may be an extended, even permanent situation. Having boyhj hard copy and digital (flash drive) copies of important documents could be very important. Driver’s license, birth certificates, car title, other I.D, credit card lists, ect. These may help you to get started again somewhere, or prove property ownership if and when you return. Take some cash with you. What if credit cards are unusable due to the grid being down. Make it smaller bills and take some quarters for available vending machines. There are a number of additional items you want to have in BOB. Para cord is one of them. You can do sooooooo many things with it! A couple rolls of toilet paper is good. Remove the center tube, flatten them and place them in a large plastic sandwich bag to keep them dry. (Ever have to do your paperwork with wet TP? Not fun.) A good pair of leather work gloves are useful as well as some plastic garbage bags. For navigation, you need a good set of local maps and a quality compass. You have a number of compass choices. The US Military style (avoid the cheap Chinese copies) is good. Silva makes a good line of quality compasses. You really need to learn how to read a map and use a compass in land navigation. Communication can really be necessary, both for gaining information and for communicating within your group. There are a number of hand crank survival radios available. Here is a good review of some. A set of two-way radios to keep in contact with group members is also a good idea. So far we have looked at some basic items to cover the important areas you need to consider when putting BOB together. This is by no means an all inclusive list, but it gives you an idea of the areas you need to cover and some examples of useful types of gear. Be innovative and remember to stock BOB based on your needs and local situation. I don’t mean to sound like a broken record, but think deeply about these things and do your research! Now, it is time to buy a BOB to put it all in! Too much gear for in a city or large township. Cover is everywhere if you look. A large tarp / hammock preferably and a good sleeping bag is all you need. Same for water, it’s everywhere, although a survival straw is light and easy protection for you. It all goes to how good you have trained to forage for what you need and if necessary you’ll have to resort to scavenging. A good multi-tool is priceless yet remember where you last saw that loose brick. Nothing says open sesame like one of those! Hygiene is everything as is grooming. Wash gear is a must but I disagree about shaving. Whilst it might be fashionable to have a 5 o’clock shadow, it don’t look so good after a couple of days. Carry gaffer tape for quick invisible repairs to clothing and equipment. Look good and folk generally treat you good. As for food? It depends on what is happening. If commerce is still functioning then there will be loads of waste food in supermarket skips as people flee the area. Same as electricity cuts, bank runs, but not disasters. Earthquakes and fires are great. Damaged buildings and you “heard” a cry for help and went to help. Act sensibly and you eat / provision for free. This is a vastly different way of looking at things and probably ASW has a better way for beginners to follow BUT just remember, the more you carry the larger the target is on your back saying “mug me”. I also know a key phrase all you potential gunslingers should remember. Someone always has a bigger gun and there will be more of them than you. If threatened, its best to dump your sack and back off. Again, good points. Learning to scrounge and use anything available is going to be critical. But I would rather have it and have to ditch it later, than to need it later and not have it. Armament is one of those issues that there are many points of view on. In the UK (and like much of urban America) you have had to adapt because the only people who have firearms are cops and criminals. However, most of the US is not urban, and in many places everybody has access to serious weaponry. My plan is to avoid armed confrontation if possible. Immitaing the Lone Ranger with a group of armed opponents is definately not a good idea. Evade and escape if you will. But if necessary, to convince armed scum that unarmed pickings are a better deal than some of them dying for my rucksack. I guess it is a matter of perspective.